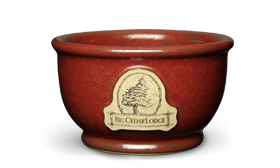 To place an order for our Signature Stoneware™, please contact us directly at 800.509.4662 or send us an email. Due to the customization of each Signature piece, we do not currently offer this service online. A free virtual proof will be emailed for signature approval prior to proceeding with the order. A set-up fee of $150 is charged for new artworks sent to us in vector format. If sending artwork in a non-vector format, we charge a set-up fee of $200. You may also name drop your business from our library of stock artworks for a set-up fee of $25. If you have no artwork, we can provide graphic artwork design services at a rate of $85/hour. 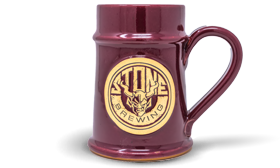 No set-up fee is charged when reusing the same artwork on future stoneware orders. Artwork files can be purchased at a one-time fee of $150/each. Purchased artwork will be provided in multiple digital file formats including .ai, .pdf, .eps, .jpeg and .png. Ask your account specialist for more information. A set-up fee of $100 is charged for new coaster artwork. This one-time fee is required for specific coaster tooling requirements. No set-up fee is charged when reusing the same artwork on future coaster orders. Preferred format for artwork is a black/white vector Adobe Illustrator® file with fonts converted to outlines. A one-time fee of $100.00 is charged for each custom bottom stamp. order — or from order to order is common. Pieces that are within +/- 2 oz. are considered acceptable. we may request you return the damaged piece. Designs and logos illustrated in this catalog are reproduced for display purposes only. They do not imply or suggest endorsement of such trademark or that the item was originally produced for the owner of such mark. Bulk shipments to multiple locations, all occurring at the same time are free of charge. Shipping charges apply. There is an additional charge for individual drop shipments; contact your account specialist for details. A drop ship address list must be provided prior to the start of production. Address list must be on an Excel spreadsheet with separate columns for the distributor company name, purchase order number, ship to name, address 1, address, 2, city, state, zip code and quantity per ship location. There is an additional charge for dual medallions. Contact your account specialist for pricing. 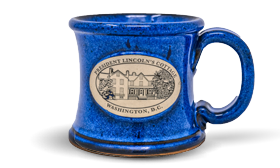 For our full catalog of styles and glazes, a minimum order of 24 pieces is required. One style and one glaze color with the 24-piece order. A limited selection of styles and colors is available in quantities of 12. Due to the firing process, we produce a quantity that is more than what is ordered. Every effort is made to ship the exact quantity ordered. Orders within a variance of +/- 10% are complete and will be shipped and invoiced. All prices are subject to change without notice. Contact your account specialist at 800.509.4662 for a current price list. A down payment of 100% is required when placing an order. We accept American Express, Discover, MasterCard and Visa. Production times may vary. Allow at least 5-7 weeks turn around time which begins with the receipt of a complete purchase order and signed artwork approval. Production time may increase up to 10-12 weeks during peak holiday months. Unless indicated on P.O. or in writing, we reserve the right to use any items we produce in our displays, catalogs, ads or any promotional material. Rush orders can be shipped in 15 business days and are subject to a 35% upcharge. Rush orders require 100% down prior to the order going to production. Rush charges are also applied with approved ship date during peak holiday months. Random imprinted samples are available for a fee. Charge is $15.00 each plus packaging/shipping for stoneware samples. We charge $5.00/each for coaster samples, plus packaging/shipping. We prefer to use your UPS account number to charge packaging/shipping fees, however samples can ship on our UPS account and we’ll invoice the packaging/shipping fees. We reserve the right to choose the samples you receive based on our inventory. There is an additional charge for custom sample requests; contact your account specialist for details. All stoneware orders are shipped FOB Neenah, WI 54956. UnderWare™ coaster orders are shipped from a different location. Orders are shipped UPS ground. Item weights are approximate and are subject to change without notice. There is a $5.00/box fee for custom packaging and handling services. Please contact your account specialist service for freight quotes. Shipping charges are billed on your final invoice. Orders are bulk boxed in custom-designed, 100% eco-friendly protective packaging. Depending on the product style, we typically package 12-18 pieces in a box. Individual packaging is available for additional cost. By placing an order, you agree to our terms and conditions. Our terms and conditions are subject to change without notice. There is a $5.00/box fee for custom packaging and handling services. Pick Up times are limited to Monday and Friday 8am – 10am and Wednesday 2:30pm-4:00pm by appointment only.